Who says the announcement of next generation hardware has to force the elder version out to pasture? Microsoft may still have a trick or two up its sleeves for Xbox 360. 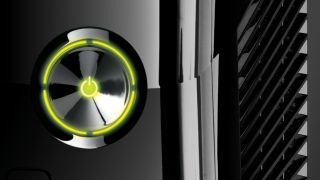 Ubergizmo reported Thursday that Microsoft doesn't plan to abandon its faithful Xbox 360 owners just because new hardware is coming down the pipeline. In an interview with GameSpot Asia, Microsoft Game Studios Corporate Vice President Phil Spencer revealed that existing Xbox 360 hardware will continue to be supported, even as the Xbox One now grabs the spotlight. "I think the [Xbox 360] is going to be very vibrant for many years," Spencer elaborated. To make his point, Spencer claims the upcoming E3 2013 will be worth the wait for Xbox 360 owners. "We have a huge, I think it's huge, [Xbox 360] announcement for E3 that I keep wanting to talk about, but I can't," Spencer teased. The Microsoft VP followed up the Xbox One event by describing the E3 announcement as one that "will surprise people." New hardware or software? Thankfully, Xbox 360ers won't have to wait long to find out: This year's E3 event kicks off June 11. Get up to speed on the lastest from the Softies with our Xbox One coverage.